1. I have charted the church records from Germany that show a history of Schlax from 1666 to 1884. 2. I have charted the US census from 1870 to 1930, which shows 38 immigrations, and 127 progeny from those immigrations up to 1930. The US census is 70 years behind present by law. 3. I have identified 63 Schlax in the present German national phone book, five Schlax in the French national phone directory, and 73 Schlax in the US national white pages. 4. To fill in the census information past 1930 I am presently trying to make a chart of the social security office’s birth /death and marriage/divorce lists by state. This is not only difficult it is damn near impossible. My interest in genealogy resulted in writing a letter to all 141 Schlax that I can identify. I feel that there are so few Schlax in the world I wrote all people with this surname that I could find to seek help in gathering this information. I am willing to share any information I have in exchange for your assistance in filling me in on your branch of the Schlax family from 1930 through present. I am trying to fill in the genealogical connections between living Schlax members and their ancestors listed in the 1930 census and in the immigration records from 1870 to 1930. Any help that you can provide, listing the names and relationships of your family (siblings, parents, grandparents, aunts, uncles, cousins) that will help me would be appreciated. With this expanded family tree, I can then draw connections between the German church records and US census chart data to complete the goal of delineating 352 years of Schlax history. Please email me at the above address, or leave a comment below if you have any information or questions. 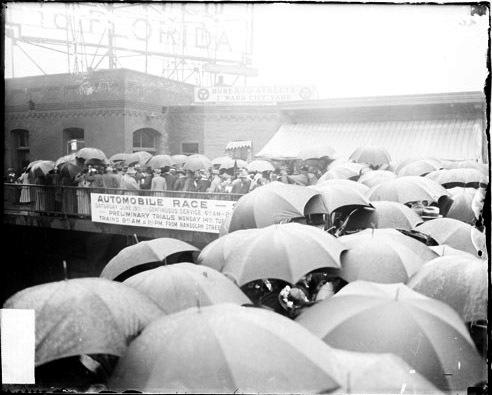 The Train From Randolph Street by Norm Carlson in First and Fastest Summer 2006- an article with a picture of Peter Schlax in 1926 taking the first electric commuter train trip (on p. 6) . keeping up the engine in his charge. 1891 built by I. C. R. R., Weldon shops, No. 279 later changed to No. 221 and in 1900 again changed to No. 1421. This is a photo of a 2-4-4T locomotive that is similar to 1421 that Peter ran. The 1421 was made by Illinois Central but this one was made by Rogers. This was found at http://www.yesteryeardepot.com/IC201.JPG. This locomotive is at the Illinois Railway Museum. 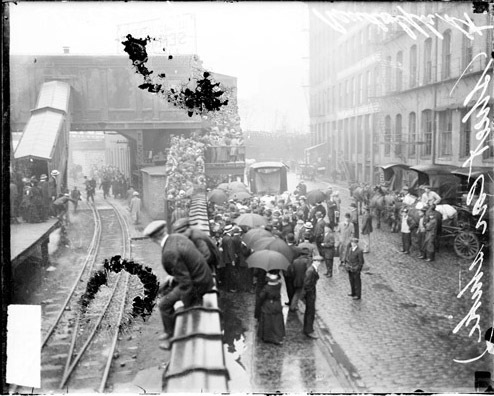 These are images from the Chicago Historical Society of the Street Car strike in 1915 at Randolph Street Station. This was the station that Peter worked at. Because the street cars weren’t running, the commuter trains were packed. This may mean that Peter was the first “Packer” in the family.